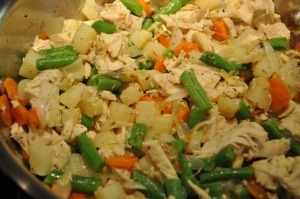 Rebecca Rather’s All-Sold-Out Chicken Pot-Pie! 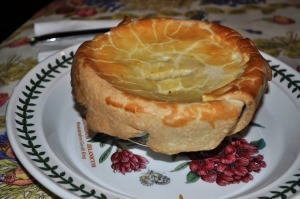 Rebecca Rather‘s All-Sold-Out Chicken Pot-Pie! I love Rebecca’s Texas style! She’s homey, down-to-earth, and reading her book, The Pastry Queen, makes you feel like pulling up a chair and talking to her. I spent my senior year of high school in Texas, and my first job was working in a gift shop at Six Flags Over Texas – cowgirl hat, boots, and all! I went on to attend the University of Dallas. Reading Rebecca’s book and looking at all her photos brings back memories of the Texas hospitality I enjoyed and of my college friends – many of whom still live there. Pot-Pie filling mixed with cream sauce and ready to go! 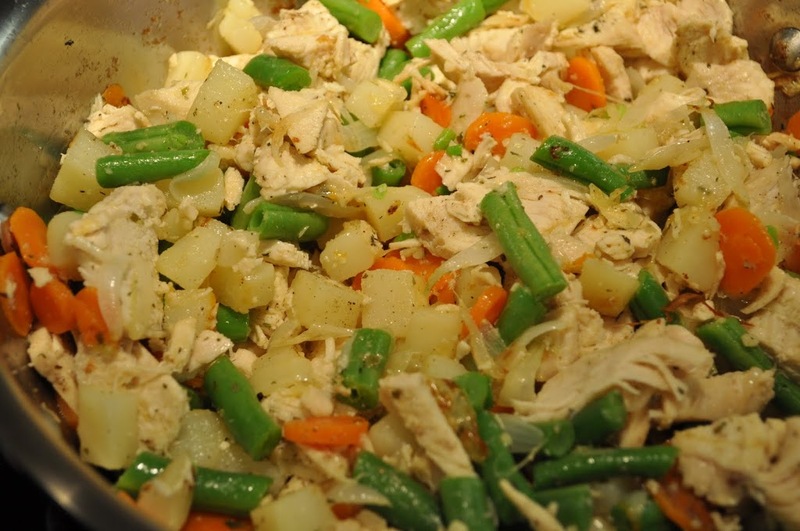 My husband’s been fighting a summer cold, so I thought he would enjoy some old-fashioned comfort food full of chicken and vegetables. 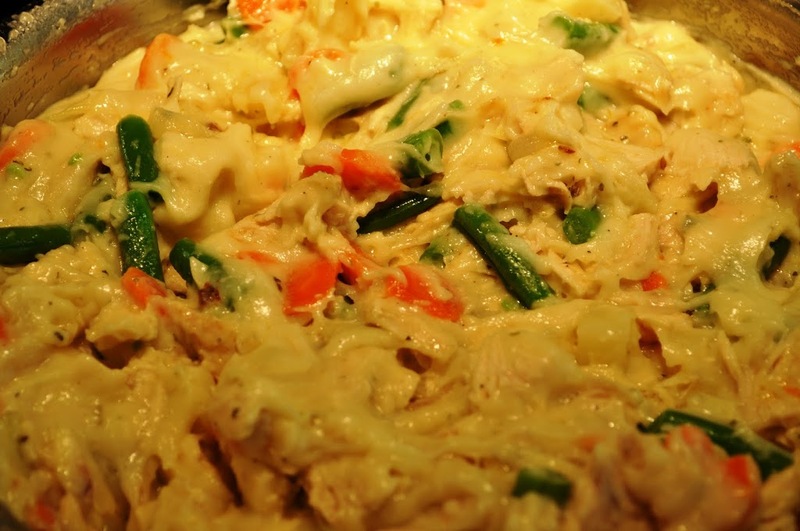 Although this dish is time-consuming to make, nothing about it is difficult. And the cream cheese pastry takes it right over the top. 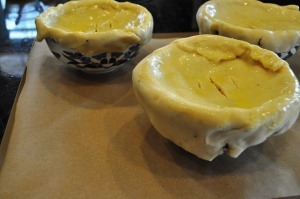 The individual pot-pies also freeze really well. 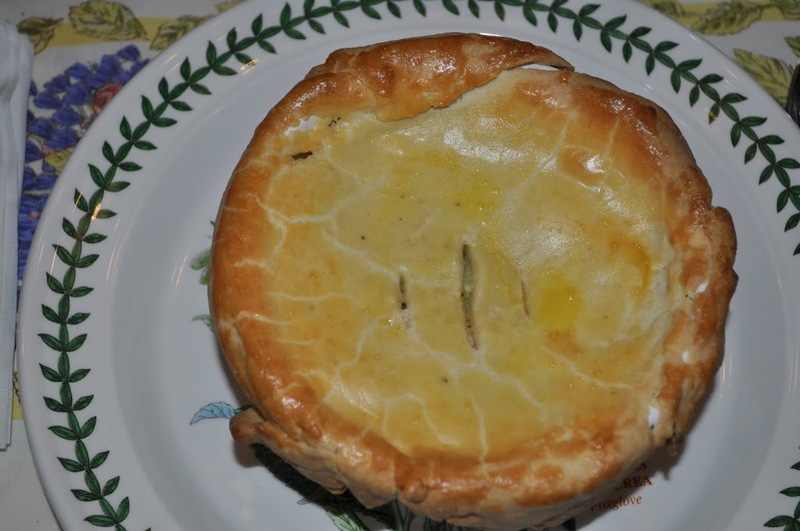 Susan, These look amazing…I love pot pies! 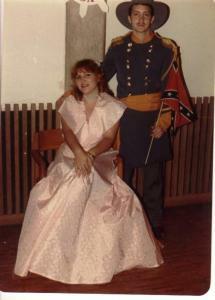 I especially love the photo of you and your date….Looks like you stepped right out of Gone With the Wind!! 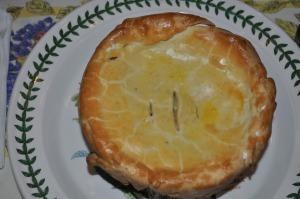 Susan ~ I love the Chicken Pot-Pies and your college picure is so lovely. Thanks for sharing both and have a wonderful weekend. Mercedes. Oh, love the pot pies. We do a lot of chicken and biscuits over the winter, but I never seem to think of throwing a crust on top instead. Thanks for sharing the photo! These look scrumptious! I have this cookbook and have wondered how that recipe was. The filling looks heavenly. I’ll have to try this soon. Beautiful job!